I promise that one day soon I will put up a post that isn’t nicked from Zooborns, but I couldn’t let this one go by without sharing it. 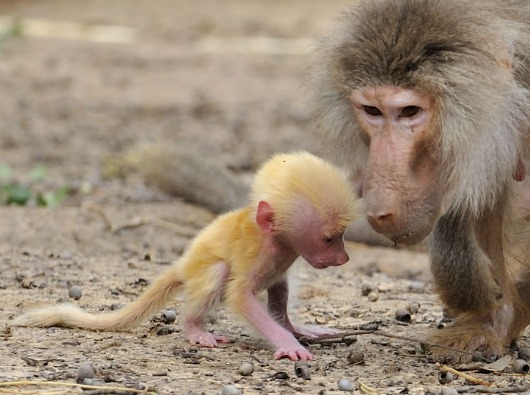 It’s a baby girl baboon! With red hair!